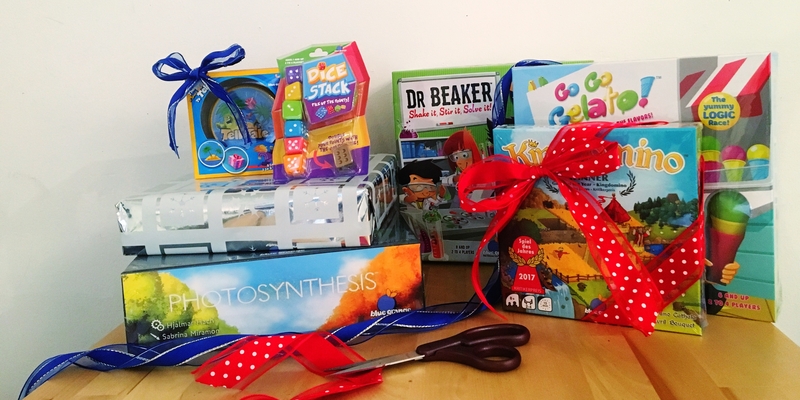 As the holidays approach, have you thought about giving the gift of play? Or maybe you have, but your not quite sure what to get the loved ones on your list. Lucky for you, we have put together a gift guide of 20 games from our catalog that would make excellent presents this holiday season. From old favorites to brand new releases, this list is a compilation of everything you would expect from us. We made sure to pack it full of high quality games that are easy to learn and engaging for all ages; we are certain you can find something for everyone. This year help us spread some joy by wrapping up a timeless present that can be enjoyed for many years to come. 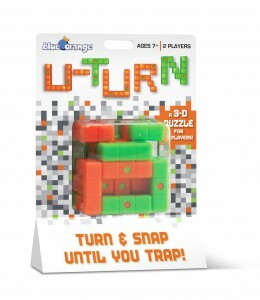 These games were developed for little hands and growing brains. 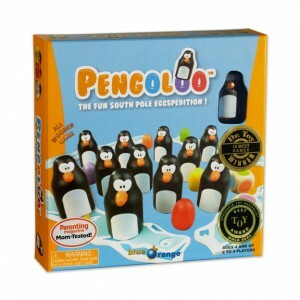 Take a trip down to the South Pole with this colorful memory game. Each turn, players roll 2 dice. Then, they lift up 2 penguins to look for eggs that match the colors on the dice. Find the correct egg under a penguin and put both on your iceberg; the first to collect 6 wins! We love it because…the wooden penguins, eggs, and icebergs are adorable and help kids work on both color recognition and memory. This game plays like tic-tac-toe with a little twist. Each turn, you can place a new piece on the board, move an existing piece, or gobble up your opponent’s piece to claim the square as your own. Line up 3 in a row to win! 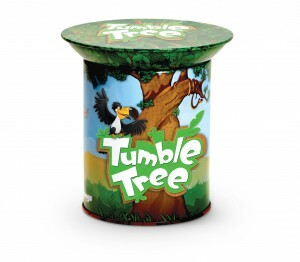 Build your own baobab tree in this card placement game. Each animal card has its own way to be added to the ever-growing canopy- make sure to place them carefully. Avoid penalties, but most importantly…don’t let the tree-top topple! 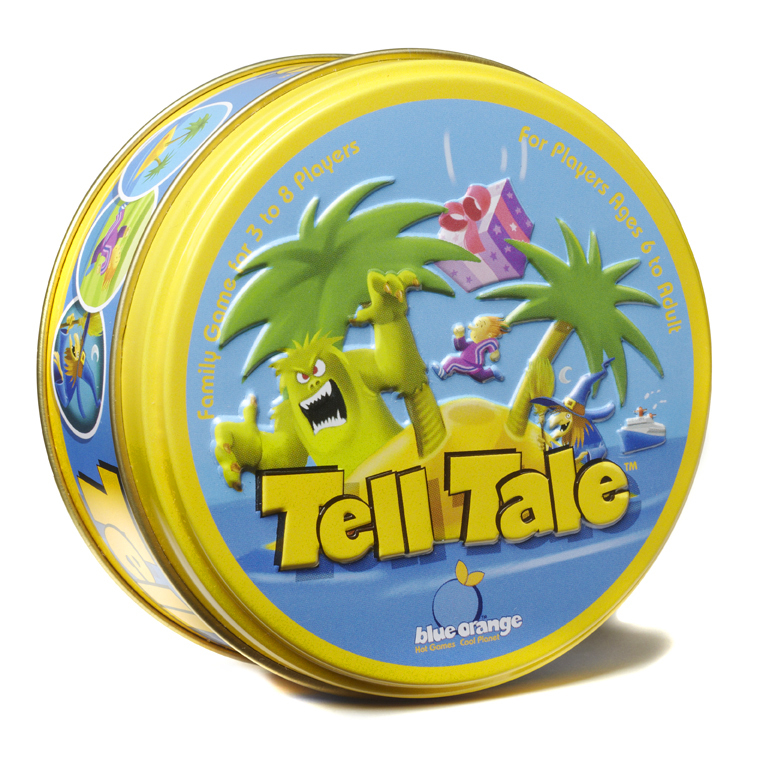 We love it because…all the cards fit in the tin, which acts as the trunk of the tree AND the base of the game. Spin to win! Flip a card and then rotate the wheel to find its matching icon in the windows. But hurry, it’s a race! Spot the match before your opponents to win the round and get a point. With 6 double-sided wheels, 100 icons, 3 levels, and 6 games to play the searching fun is endless! We love it because…. you can ditch the cards for an easy on-the-go game and play with just riddles, rhymes, or clues. Inspire and stimulate curious minds with our logic races. 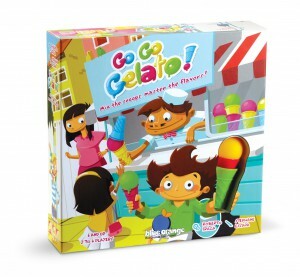 Become a gelato mixing master in Go Go Gelato! In this delicious game of rearrangement, players fill their customer’s orders armed with 4 cones, 3 scoops, 2 hands, and 1 challenge card. Happy customers are the ones whose orders are filled quickly and efficiently, so speed and thinking ahead are a must. We love it because…. rearranging the scoops and cones is the perfect way to learn the type of logic required to play any of our Dr. games. 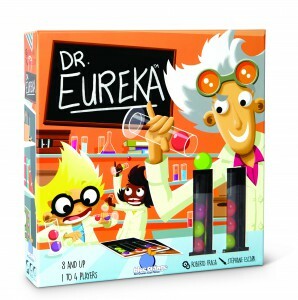 Grab a challenge, 3 test tubes, and 6 colorful balls, and then get ready to help Dr. Eureka solve his scientific formulas. Carefully move your materials from tube to tube without dropping them and position the balls exactly as picture on the challenge cards. Each round, the speediest scientist who correctly finds the formula wins! Dr. Microbe needs help! 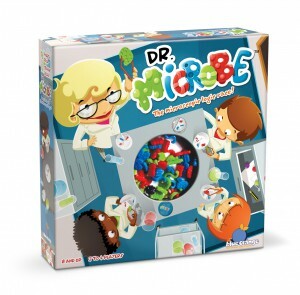 Players must race to grab the correct microbes with their tweezers, and then place them into their petri dishes as they try to solve an incomplete challenge card. Make sure to follow the research rules and finish first to impress Dr. Microbe and win! We love it because…. 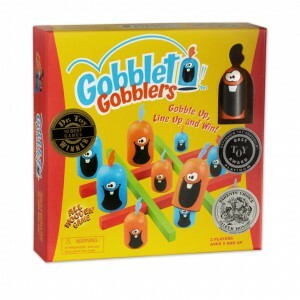 the tweezers and squishy microbes help develop fine motor skills, and the game pieces promote familiarity with lab equipment. In this logic race, players move molecules around the compartments of their beaker to try and match the solutions on the challenge cards. 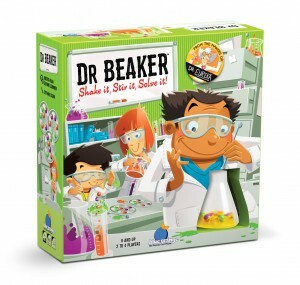 Players must think quickly, and work fast, as they rearrange the molecules at the bottom of the spinning beaker with their stirring rods. We love it because….rearranging the molecules one-by-one works on fine motor skills and sequential thinking. Who said games had to be quiet and calm? Not us! Ready, aim, score! 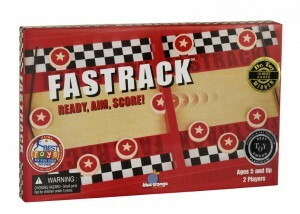 In Fastrack, players use the elastic band to send their 5 discs through a tiny slot to the other side of the track. Players need to work fast and aim well as they simultaneously fire at each other! The player who sends all the discs to the other side wins. The kiwis want to go on vacation, but they can’t fly! 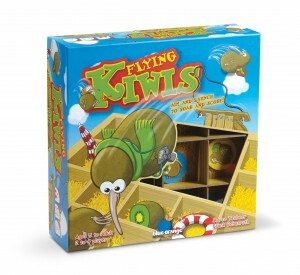 Help the kiwi birds sneak into a fruit crate, so they can make it to their destination, by launching them with ramps. The kiwis like to sit with their friends, so make sure to line up 4 of the same color in a row or a square to win! We love it because….what is not to love about a game where you get to launch things?! The all-inclusive gift; games that everyone can join in on! Explore the land and expand your kingdom! Each turn connect a new domino to your kingdom, making sure that at least one of its sides connects to a matching terrain type already in play. Build up your 5×5 grid as best you can, as the player with the richest lands takes it all. 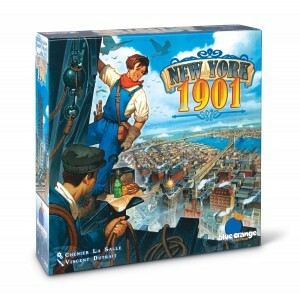 This game won the prestigious Spiel des Jahres award in Germany (“Game of the Year”). 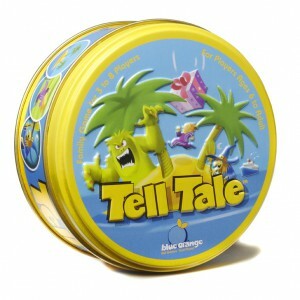 We love it because….it’s simple enough for kids, but the game mechanisms are interesting enough to keep adults engaged. In this game, calculated risk and smart strategy will place the odds in your favor. Roll the dice to get a combination that gives you the greatest advantage. Each combination has a different point value, but only 4 chips to let you score, so grab the best ones before they run out! We love it because….it’s a fresh twist on a classic that everyone can play. Flock to greener pastures! 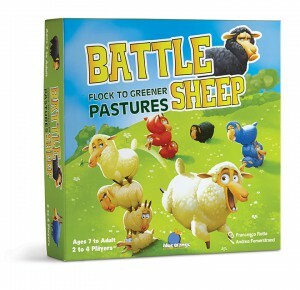 Each turn, players split their stack of sheep and then move a portion by placing it as far as it can go in a straight line. Plan your moves carefully to fence out your rivals and occupy the most pastures. With multiple game board configurations, it’s different every time you play! We love it because….it’s another great game to teach strategy, and it has a pretty awesome theme. Gifts that are sure to please any gaming master. 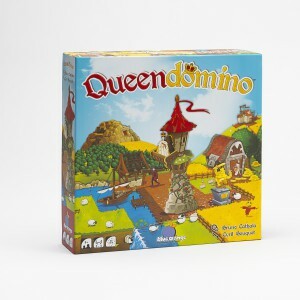 Queendomino takes the base game of Kingdomino and kicks up the strategy with additional components and rules. Tax your lands wisely to fund the construction of your towns, pick the buildings you erect carefully, and try to win the Queen’s favor – all while making sure your plans aren’t foiled by the Dragon’s flame. Make sure to strategize and acquire carefully, as others are also competing for the same lands, a stake in the riches, and the heart of the Queen! 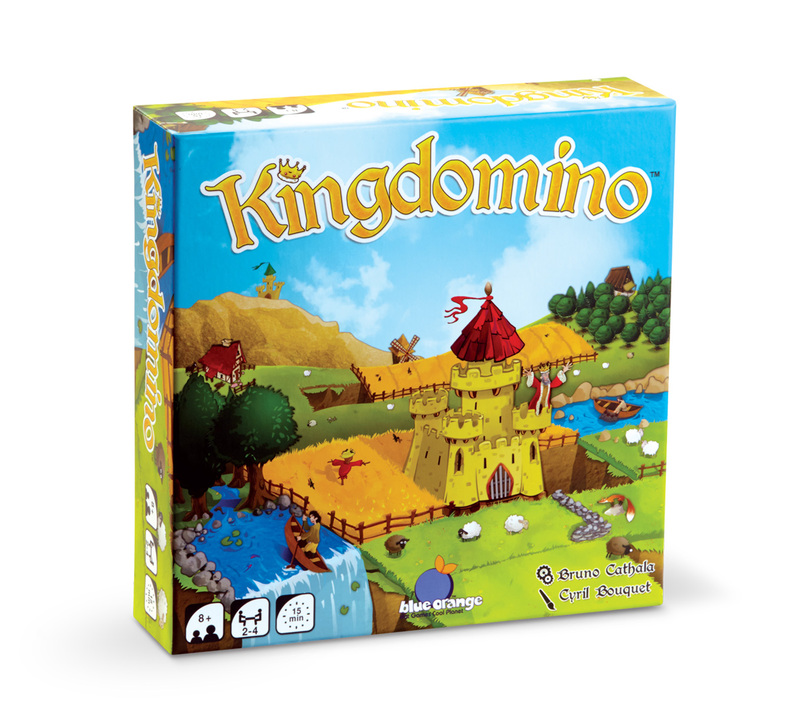 We love it because….it takes Kingdomino to the next level, and you can combine both games and either build 7×7 super kingdoms, or have two more friends join you for a 6 player game. Plant and shape the ever-changing forest as you cultivate your seeds and your strategy. Take your trees through their life-cycles, from seedling to full bloom to rebirth, and earn points as their leaves collect energy from the revolving sun’s rays. Carefully pick where you sow and when you grow, as trees in the shadows are blocked from light, and from points. High-quality components and beautiful artwork make this a must-have! We love it because….it’s a strikingly beautiful game that surprises most people with the strategy it requires. Discover the game of acquisition, demolition, and construction! Rise to new heights in the famous streets of New York City, as you try to build the tallest skyscrapers in the world. Satisfy your hunger for glory and prestige as you raise your real estate empire to staggering new heights. 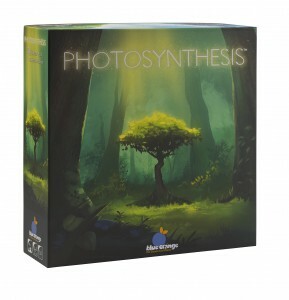 We love it because….it’s our first “big box” strategy game, and we think it’s a great way for less experienced individuals to enjoy the gaming hobby. Games that pack big fun into small packages! Pile up your points with this colorful take-anywhere travel game. Roll the tilted dice and then carefully stack them up in numerical order. Stop at any time while building the wobbly tower and win the sum of the values you have stacked. Carefully place the dice and don’t let them fall, or you’ll lose it all! 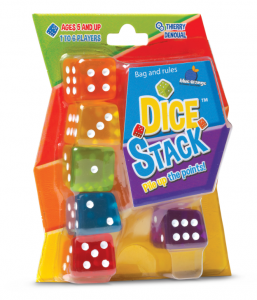 We love it because….the wacky colorful dice are fun to roll, stack, and touch! Roll the dice and rack up your points! On your turn, roll all the dice and score points based on the color of the biggest die. Decide to bank the points you have won, or take a chance and roll again! If no dice match the big colored die, you must forfeit all points won in that round. Are you ready to roll? 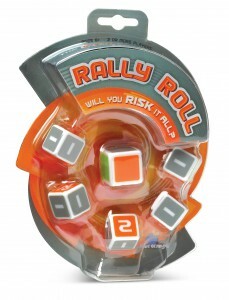 We love it because….it’s a quick travel game that is perfect for large groups. The pictures that are worth a thousand words! Players weave wacky and whimsical stories using cards that show a variety of settings, characters, and objects. Play cooperatively, create a storyboard, or twist up your bedtime stories- the possibilities are endless. We love it because….there is no wrong way to play! In this game, each player picks a color and then both players take turns adding to the growing figure, one piece at a time. Adjust your strategy as it grows in 3D, and remember that each added piece affects future game play. Make sure you are the first to surround a dot of your color on all 6 sides from a bird’s eye view. We love it because….the 3D puzzle can fit in your pocket, and is the perfect brain break to play with a friend. You can find all of the above games in stores and online. As a company that supports small business, we encourage you to stop by your local neighborhood toy or game store this holiday season. 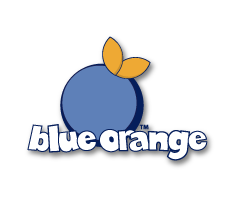 To find the store nearest you that carries Blue Orange Games, check out our handy store locator. 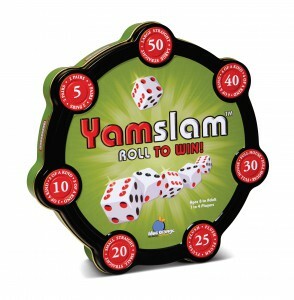 Check out the rest of our games on our website for more great gift ideas!